HolyJuan: Who will McCain choose once Palin drops off the ticket? Who will McCain choose once Palin drops off the ticket? I do not want to debate whether or not Governor Palin is going to drop off McCain’s ticket as Vice President… that is pretty much a given. As a matter of fact, I think McCain’s consultants preparing for it and are going to try to spin it for more media cycles. -Christian Conservatives would get caught in an infinite prayer feedback loop of praying to win and praying to lose. -Christian Conservatives don’t like female pants. It’s the devil’s stitchery. Palin is awesome. I might even vote for McCain now! Oh, if only this photo were true, I would vote for McCain too! 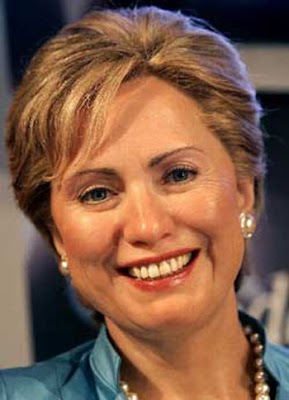 My vote is for the Pantsuit. Orange is such a youthening/euthanizing color. 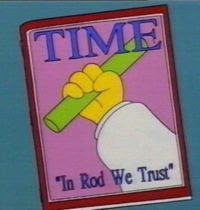 My vote is for the inanimate carbon rod. Then it can be president when McCain doesn't make it all 4 years. This would be a big step for inanimate carbon rods everywhere, letting them know that in America, even they can one day aspire to be president.